The warm glow of candlelight will fill the Flagstaff City Hall lawn this evening. The event, which was organized by various Flagstaff citizens, faith leaders and civic groups, is part of the Newtown Foundation’s third annual nationwide vigil to honor victims of gun violence, including the 20 children and six adults slaughtered by a gunman at Sandy Hook Elementary School in Newtown, Conn. on Dec. 14, 2012. The gun violence vigil runs from 5 to 6:30 p.m. and has a broad scope. In addition to remembering victims of mass shootings like the Newtown massacre, the organizers have broached subjects such as firearm safety, accidental shootings and gun violence survivors. This year’s vigil falls at a time when local concerns about gun violence are running high thanks, in part, to two events: last week’s mass shooting in San Bernardino, Calif. and the Oct. 9 shooting in a Northern Arizona University parking lot that left one student dead. “When we lost our student at NAU, it just felt like the awareness and the shock of it doubled and tripled,” Strobel said. According to Gun Violence Archive, an online organization that aggregates police, media and other sources to compile raw statistics on gun violence, there have been 594 mass shootings – defined as at least four people shot but not necessarily killed at the same general time and location, not including the shooter – in the past two years. Flagstaff resident Brian Lee Wilson is an award-winning competition shooter who took up the sport about 10 years ago after moving to Arizona. He said no matter where a person comes down on the gun control debate, pretty much everyone believes mass shootings are tragic and unacceptable. But advocating for public policy to prevent those kinds of violent acts, he said, is a difficult task. The San Bernardino shooting, in particular, has led to a congressional showdown this week over whether the federal government should ban gun sales to individuals on terrorism watch lists. U.S. Rep. Ann Kirkpatrick, D-Flagstaff, has expressed support for the measure, as well as efforts to strengthen background checks. She is also is co-sponsoring legislation that would authorize grants to improve the criminal history record system and establish a U.S. House committee to investigate causes of mass shootings, ways to improve the background check system and other issues. Strobel has created a loose local organization called Citizens Against Gun Violence to bring people in Flagstaff together to talk about gun laws, learn about changes to the laws and contact lawmakers. She would like not only expanded background checks but licensing and liability insurance requirements for gun owners. Plus, she would like to see some consistent standards from state to state. 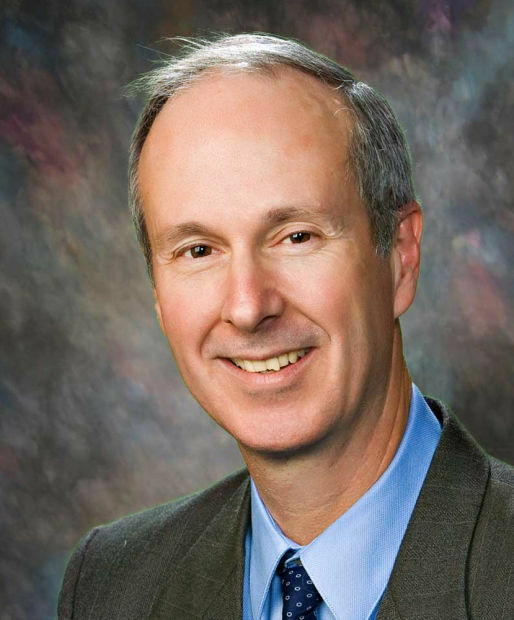 On the other end of the political spectrum is state Rep. Bob Thorpe, R-Flagstaff, who, in March, proposed a measure aimed at preventing future legislatures or voters from having the power to mandate background checks for private gun sales. From Thorpe’s perspective, no law is going to prevent the type of mass shootings that happened in San Bernadino or the November attack that killed 130 people in Paris. “I don’t know of any laws that would have prevented these terrorists from showing up and doing what they did,” he said. Thorpe pointed out that Paris does not allow people to own guns without permission from the government and California has stiff laws on purchasing and carrying of guns. The San Bernardino attackers, for instance, were already violating a California law that prohibits carrying a loaded weapon in the trunk of a car. “How can I pass a law that a person like that would adhere to it?” he asked. In fact, researchers Jaclyn Schildkraut of State University of New York at Oswego and H. Jaymi Elsass of Texas State University have published data showing that although the United States far outpaced the number of mass shootings and mass shooting deaths in most developed countries between 2000 and 2014, at least some of the disparity can be tied to the sheer size of the U.S. population. Norway, which has stricter gun laws than the United States, had the highest mass shooting fatality rate per 100,000 people even though the country had only one mass shooting during that period. It was more than eight times higher than the U.S. mass shooting fatality rate per 100,000 people. Despite high-profile incidents like the mass killing in San Bernadino, Calif., the homicide rate is actually on the decline in the United States. According to the FBI’s Uniform Crime Reports data, 11,961 people were murdered in this country in 2014, the most recent year for which data is available. In 2010, there were 13,164 murders nationwide. Guns remain the weapon of choice for murderers in the United States. According to the FBI data, 8,124 – roughly 68 percent of all U.S. murders in 2014 – were committed by firearms. Arizona contributed 153 victims to that total. Most of those deaths did not happen during mass shootings. In fact, the most common circumstances for gun-related killings were ordinary arguments that turned violent, and the bulk of victims knew their attackers. Phillip Scavo is a U.S. Marine Corps veteran and NAU graduate who has owned Flagstaff’s 2nd Amendment Store for four years. In addition to selling firearms, the store offers a lot of training programs, including gun safety classes, National Rifle Association instruction and concealed carry weapons courses. Although he opposes many of the gun control proposals that have been discussed by various politicians in light of the recent mass shootings, he does want to stop gun violence. For those who already own guns, he said, basic firearms, concealed carry weapons and gun safety courses can go a long way to making a responsible and safe gun owner. The desire to prevent gun deaths is the common ground for the two sides of the gun control debate in Flagstaff. The reporter can be reached at mmcmanimon@azdailysun.com or 556-2261. The united States ranks in the top 5 in the world for gun violence. If you take out the city's with the most gun violence Detroit, Chicago, Washington DC,new York and New Orleans. ( These are the city's with the toughest gun laws in the country) The united States would rank only 4th from the bottom! None of the shooters from California or any of these other tragedy's was on a no fly list. ANN KIRKPATRICK and her party are using these tragedy's to push their agenda of taking our rights. Fear of crime is what drives the gun control debate. Fear is an emotion, not grounded in logic or cognitive thought. The gun control debate should be a discussion based upon reason, not silly propaganda, or emotional agendas that simply rob Americans of their fundamental liberties. The people at the vigil serve as confirmation that there are many folks who do not understand that gun regulations upon the law-abiding will never succeed in regulating the lawless. Fear of crime (hyped by he likes of Mr. Trump) drives gun sales, which in turn drive gun violence. The pro-gun crowd by ignoring any responsibility for their actions, organizations or their weapons are what is fueling the anti-gun crowd. Sure owning a gun might be some "fundamental" liberty to you- but your liberty ends when it endangers others. As the U.S. has the highest rate of gun violence among developed nations, I think it safe to say more guns don't make us safer and never will.